Bob's Plumbing Inc has been on Hickory Street in Harahan since 1965 . Repairs are our specialty. We also do remodeling and new construction. We unstop all types of drain lines. We also work on Whirlpool and jacuzzi tubs. We fix Motors, leaking Jets and pumps. We install All Plumbing fixtures, water heaters and tankless water heaters. We also install garbage disposals and dishwashers. The experts at Area Wide LLC provide quality plumbing repair and remodeling services in Mandeville and New Orleans. From plumbing repair to superb renovations, the Mandeville Plumber services include Bathroom Remodels, Kitchen Renovation, Outdoor Kitchens, Water Heater Replacement, All Service Work, Gas Lines, and Water Lines. With more than 25 years of industry experience, Goodbee Plumbing can handle all your Covington plumbing service needs. Whether you’re looking for routine drain cleaning, need extensive repiping services, or think you might have a hidden water leak, their dedicated team of highly trained professionals will get the job done quickly and correctly. They are backflow certified and gas licensed, meaning they are uniquely equipped to handle even your most serious plumbing problems. With Goodbee Plumbing, no job is too big or too small. Their friendly and professional team handles everything from bathroom and kitchen remodeling to water heater inspection and service, offering superior workmanship and fantastic customer care every step of the way. They provide compassionate, personalized plumbing services for both residential and commercial customers throughout the area, all at affordable rates. They are happy to provide you with an over-the-phone estimate on your next service and offer same-day service for most of their services. In every instance, they’ll help you find a fair, cost-effective solution that’s right for your home or business. 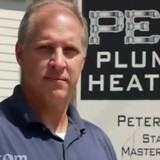 Need plumbing services in Covington? Call Goodbee Plumbing today to find out how they can help you! We offer the best plumbing & repair services in Loranger, LA. Please contact us for all of your plumbing & repair needs! Charlie Is the owner and has over 30 years experience. He is an insured master plumber and master gas fitter. 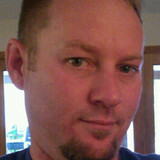 He specializes in all residential plumbing and gas repairs, water heater replacements, toilet repairs and leaking pipes. A plumbing contractor handles the installation and repair of water, sewage and natural gas pipes throughout a home, as well as interior and exterior faucets and fixtures. Plumbing contractors are also trained to work with water mains, septic tanks, laundry appliances, water heaters, sump pumps and other plumbing and pipe systems. Because plumbing repair work is done largely behind walls and beneath floors, some plumbing companies can also patch or replace tile, stonework and other surfaces. Although some Talisheek plumbers are generalists, others specialize in specific areas; a 24 hour emergency plumber will handle urgent residential repairs, while others may be more skilled in remodeling, natural gas lines, overhead sprinkler systems and more. Find a local Talisheek plumber on Houzz. Narrow your search in the Professionals section of the website to plumbing contractors in Talisheek, LA. You may also look through photos of Talisheek, LA projects to find a licensed plumber who has worked on a project similar to yours. Here are some related professionals and vendors to complement the work of plumbers: General Contractors, Septic Tanks & Systems, Kitchen & Bath Designers, Kitchen & Bath Remodelers.